Today, I’m sharing on how to overcome procrastination and stay motivated. How we can cope with the situation around and action of getting work done at the right time. I believe procrastination and motivation are really opposite sides of the same coin. We all know that procrastination is a steal of time. In order word, procrastination can also be refers as delay, adjourn, postpone or set-back. It is simply way of avoiding something that we don’t want to do. Reasonably, of course, I may want the benefits an action could bring, but if I also have a sense of fear or discomfort about doing it, I may likely procrastinate. Procrastination is how we cope with situations around and where we want a desired outcome, but also expect some discomfort with doing it, so I view it as a form of negative motivation. Negative motivations are fear of failure or punishment that can motivate people for brief periods, but it’s not efficient in the long run. On the other hand, negative motivation includes artificial deadlines, contests, and motivational seminars. These temporarily boost performance, and they all work to a limited degree. But they are not a firm foundation upon which to build a life. Negative motivation works in an emergency, but not for a lifetime. 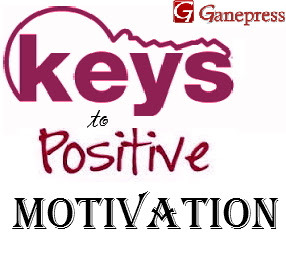 Positive motivation, on the other hand, is value-driven and far more efficient. But when I’m motivated by a sense of destiny or desire, my attitudes and my actions are aligned in the same direction. And that is the key to success! When there is consistency between our values, our desire goals, and strategies are aligned, and then we have a clear path to achieve the goal we perform. It’s only when these things are out of our arrangement that we begin to struggles. Many people get in trouble at this point. We say we value ambition, but we actually value vacations or relaxation even more. Firstly, to increase motivation, start with a thorough examination of your core values. What is most important to you? And, you need to ensure your daily actions, and your daily life goals to actually reflect on your values. If you ask most adults to list their five- or ten-year goals and they’ll sound pretty good. But ask them to list their daily projects or their plans for the weekend, and you may see a conflict. Make sure your list of core value is genuine and reflected on your daily activities. remember that hope is not a strategy. Have a plan, work on your plan and structure it out. Ensure to create a list of your actions. Most ambitious people know they should have written goals, but few take the time to develop that great strategy. Have a solid, and make your workable plan real and genuine! Thirdly, to reach more of your most important goals, make sure your core values, your short-term daily activities, and your key strategies are united. Make sure you can say, "day by day, I’m getting better and better." When your daily actions accurately reflect on your core values and you have a solid strategy, you’ll definitely overcome procrastination.